The F-8 Crusader is an American fighter jet, developed by the American company Chance-Vought (later LTV Aerospace) for the US Navy. The Crusader came in service with the Navy in 1957. It was the first high-subsonic aircraft which could operate from aircraft carriers. The F-8 was also used by the French Navy from aircraft carriers. 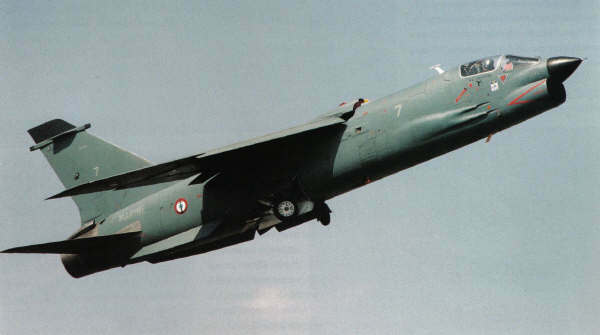 The French Navy withdraw the crusader many years ago, now the the new Rafale fighter jet has toke over the role of the crusader.